I am super excited to be involved in my very first swap project! 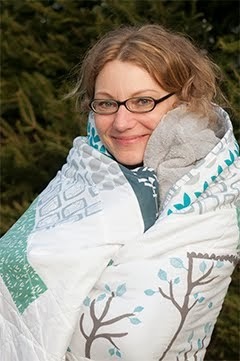 This one is from the individual members of the Modern Quilt Guild! orange, green, aqua, that pinky berry color :), not too many colors I don't like. I will love what you make so please don't stress over what to make - make what speaks to you and have fun doing it. I emptied my scrap glasses and selected a few of my favourite colours: turquoise, yellow and red. I went with kind of a coin block design and stacked the scraps from medium to dark volume. I absolutely love the cross hatch fabrics by Carolyn Friedlander and they go so well with the bright colours. I used simple straight line quilting in irregular distances and yellow binding. one large mug and some sweets to go with your tea or coffee. For the back I used this lovely fabric with little vintage TVs, I just loved the idea of having a tea in front of the telly. So, Carmen, I hope you like your new mug rug, it will go in the post tomorrow! 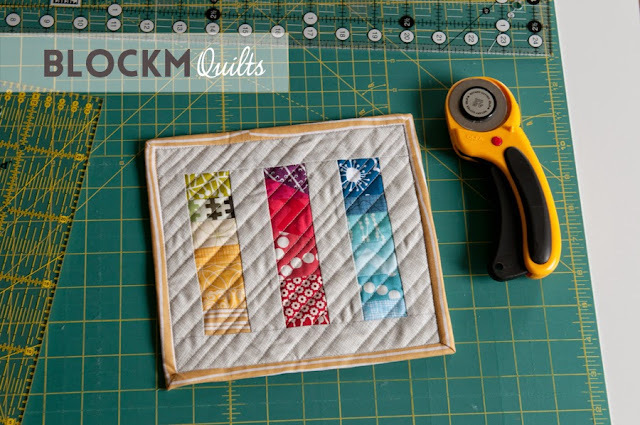 Linking this to Crazy Mom Quilts and Sraptastic Tuesday. 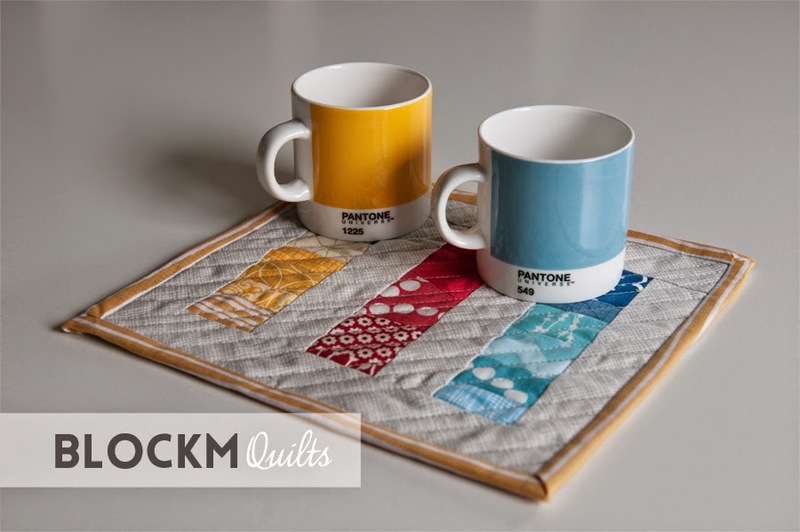 Mug rugs are so fun........ this turned out great! This was my first mug rug and it was a lot of fun! I was going to say very cute, but someone already said that so.... that is darling -- I really enjoy the simplicity and the basic colors! Thank you, that was exactly what I wanted it to be - simple yet colourful! Great use of scraps! Thank you for sharing with us at #scraptastictueday! 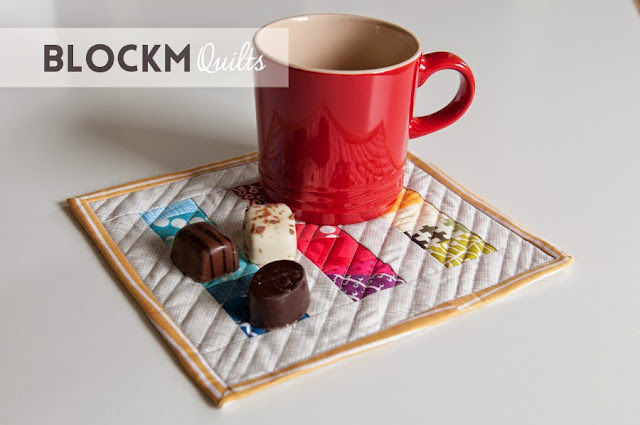 I think mug rugs are fun because we have such a limited space to make the impact. You did a great job here! Someone will love this. Lovely! Your use of colour is great; love the way they coordinate with the mugs. 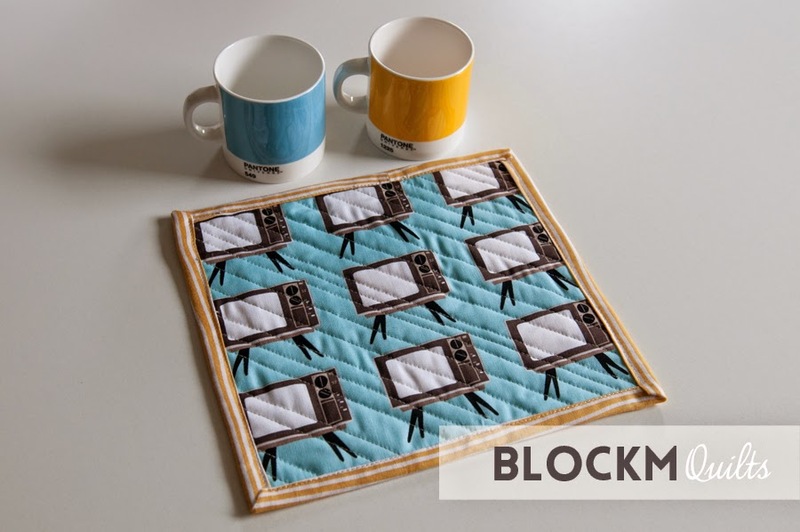 What a fun mug rug! Your partner will love it!